The US launched its second drone strike in Yemen this week, killing several civilians in an attack on a wedding convoy that is thought to have included members of al Qaeda in the Arabian Peninsula. Today’s strike took place near the city of Rada’a in the central province of Baydah, The Associated Press reported. 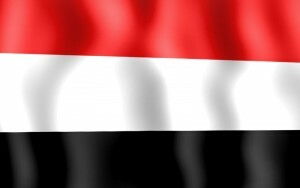 Yemeni military and intelligence officials said the drones hit a group of vehicles transporting members of a wedding party, but one Yemeni security official said al Qaeda members were thought to have been traveling with the convoy.